SPRING VALLEY — Spring Valley donor Ernest “Ernie” Josche retired after 52-year years in the auto industry. 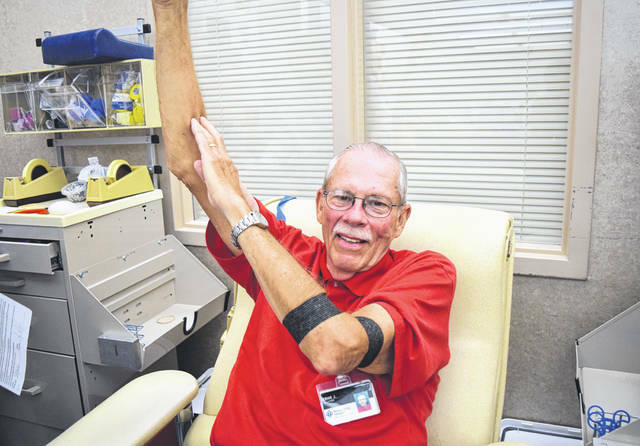 He’s been a Bellbrook Lions Club member for 43 years and a Miami Valley Hospital volunteer for six years. But two of his proudest milestones have come this year. 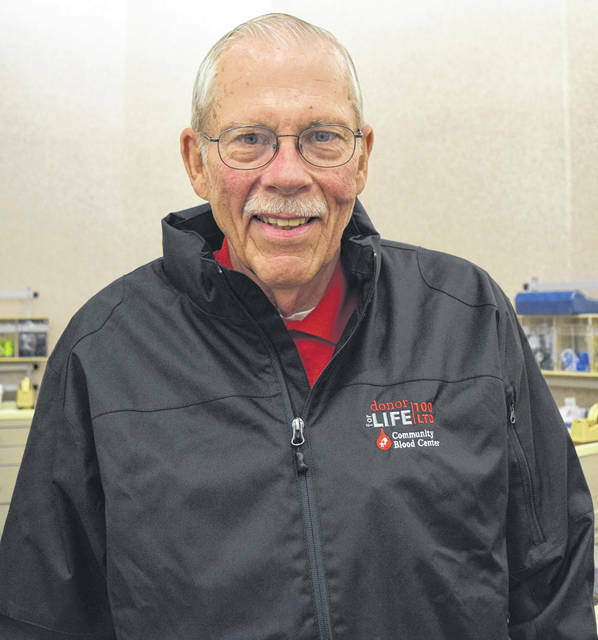 Ernie and his wife, Jeanne, celebrated their 50th wedding anniversary Jan. 27, and Ernie made his milestone 100th lifetime blood donation at the Dayton Community Blood Center June 26. “I’m celebrating 50 and 100 in the same year,” he said. His history as a blood donor dates back to his first job with GM. “I was hired into the Delco Moraine plant. That was back in ’63,” he said. “I started giving blood there and I remember donating when the bloodmobile would come.” He worked as an electronics technician for 37 years. He retired from GM in 1999 and worked another 15 years in the industry before retiring in 2014. In his 43 years with the Bellbrook Lions he’s held every office and volunteered with all projects, including the Annual Lions Club Festival coming Thursday through Saturday, Aug. 16-18. “There’s a lot to do, but we’ll get it done,” he said. He’s especially happy to help out with the Lions’ fall and winter blood drives. “I was the one who started it,” he said. He donates most often at the Dayton CBC but now also donates at Miami Valley Hospital blood drives. Most of his volunteer time at the hospital is spent working in the catheterization lab or in archives and records. The Josches have a son and three grandchildren in Cincinnati and a daughter and two grandchildren in Oklahoma. They were in Florida for their 50th anniversary but plan a celebration with the family. He drew closer to his milestone with four donations last year and reached 100 with his third donation of 2018.